Well, we knew it was coming and we have been warned about this countless times and in my opinion, this has been a challenge for some time already. This something is antibiotic resistant bacteria. Now this may not sound substantial but look at some recently released statistics. According to the CDC, each year in the United States, at least 2 million people become infected with bacteria that are resistant to antibiotics and at least 23,000 people die each year as a direct result of these infections. Many more people die from other conditions that were complicated by an antibiotic-resistant infection. 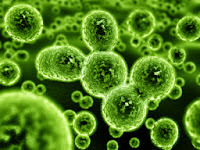 Each year in the United States, at least 2 million people become infected with bacteria that are resistant to antibiotics and in my opinion the rate of death from these as posted above is very low. The New York Times reported that the number of deaths is substantially lower than previous estimates, in part because researchers from the Centers for Disease Control and Prevention stripped out cases in which a drug-resistant infection was present but not necessarily the cause of death. Infectious disease doctors have long warned that antibiotic resistance — in which bacteria develop defenses against antibiotics used to kill them — threatens to return society to a time when people died from ordinary infections. Dr Robert Janda, whom I am interviewing Tuesday 9/24/13, had shared in a recent discussion with me that "the bugs are getting smarter." With this information, it is imperative for us to outsmart the bugs, rather than them outsmarting us. I feel that as a culture we have made the bacterial infection/antibiotic treatment route the norm rather than the exception, which lead to this potentially tragic circumstance we are currently involved in. To be "real", we cannot go back and it truly makes no sense to dwell on the past. All we can do now is move forward. The first point that I want to make is that I am not the holistic practitioner that bashes the conventional medical system. There is truly a time and a place where conventional interaction is necessary, but as mentioned earlier, this would be the exception rather than a norm. As an example, if someone has a serious staff infection, go to a doctor and get a powerful antibiotic to address this because that staff infection could kill you. Important right? So what about low level bacterial infections? Most bacterial infections start in the gut and are relatively easily addressed. Heck, just last weekend I picked up a bacterial infection while I was out eating. This made me a bit bloated, nauseous and I eventually vomited. I know, pretty picture. So what did I do? Did I run out for an antibiotic to eradicate this bacteria? Absolutely not. I took approximately 100 billion count of beneficial bacteria to counter the detrimental bacteria that entered my body and between the bacteria and my own body's natural immune defense mechanisms, this was a non issue with relative speed and ease. So a bacterial infection in your gut can be assisted by the use of a quality probiotic in high doses but what other natural products have antibiotic properties? Here is a list that may help you out. For clients in my office I would often recommend a homeopathic I get from Germany called ABB, echinacea homeopathic tablets or a combination of Chinese herbs supplied by Chi Enterprise. I can also share another personal example of natural products with antibiotic properties. I had a minor surgery last May and the doctor recommended that I go on antibiotics post surgery. This doctor knew me well enough to know that it was unlikely that I would go on antibiotics but he really was insistent that I at least take an antibiotic for three days as a minimum. Rather that the antibiotic, I chose to take Chinese herbs, Kidney Chi and Bamboo extract for a few weeks as my natural antibiotic and this worked like a charm. Please note that I recommend that you follow your doctors advice or at least have a discussion with your doctor to share your thoughts and opinions. So why didn't I want to take the antibiotic anyway? While there was of course a risk of infection with my minor surgery, I recognize that the antibiotic would cause damage to my gut. If the gut is compromised, this would create challenges for my brain as well as weakened immune function. Doesn't is make sense to have a strong immune system when dealing with an infection, rather than a weakened immune system? And this was not even taking into consideration the potential of an antibiotic resistant strain of bacteria. So in the end, recognize that our past choices have created antibiotic resistant strains of bacteria, so it is now up to you to take matters into your own hands, be in communication with your doctor with natural options and if you are met with resistance, search out a quality holistic health practitioner for advise. Regardless of where you live, Depke Wellness is always just a phone call away.